Eric Bana stars as a freaked-out lawyer in Closed Circuit. Yet even if you did get how all of that stuff works, the busy plotting and side-plotting in this legal thriller centering on a terrorist trial would still likely generate some confusion. But that’s OK. If things are a little hard to understand while they’re being woven together and then played out, everything makes sense in the end. What’s going on at the start of Closed Circuit is straightforward. Director John Crowley kicks it off in unnerving style reminiscent of what Brian De Palma did so well in his ’70s films, with multiple images, all of them shots from surveillance cameras, all focusing on bustling London streets, all building to a massive terrorist explosion. Six months later, a trial has begun. Our hero (antihero?) 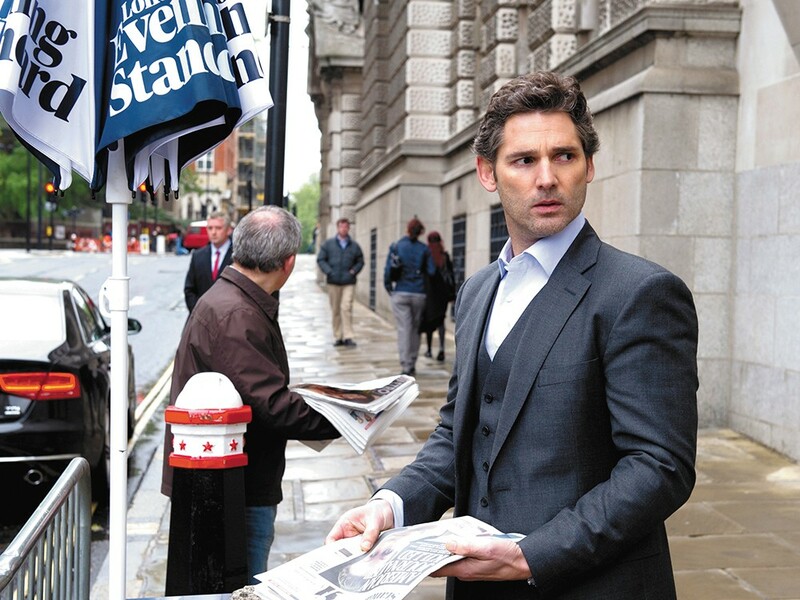 Martin (Eric Bana) is a successful barrister who has been brought in to defend Farroukh (Denis Moschitto), the man implicated in the bombing that killed 120 people. It’s briefly remarked that Martin has taken over for another barrister who just committed suicide. There’s also Claudia (Rebecca Hall), who will serve as Farroukh’s special advocate, working alongside but not actually together with Martin. Even though Martin and Claudia are on the same side of the case, due to the existence of some “secret evidence” they’re not allowed to communicate with each other. But since they’re former lovers and aren’t exactly on speaking terms these days, that’s no big deal. Yet the fact that there was an affair between them, and they’re not telling anyone, is enough to make their involvement in the case just this side of illegal. All of that, and the plot hasn’t even begun to thicken. This is a film about paranoia, about people wondering if they’re being watched, if they’re being followed, about national security and whether or not the government should be called the good guys or the bad guys. The Secret Service gets involved, there’s talk of a secret informant, and we meet Joanna (Julia Stiles), an American journalist questioning that first barrister’s supposed suicide. It’s a film where complications not only ensue but keep getting more complicated before they’re resolved. It has a conclusion that initially feels tacked on, dealing with issues of justice and injustice, of fairness and morality, but then ends up feeling just right.